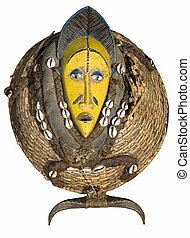 Vintage african mask. 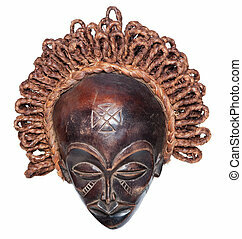 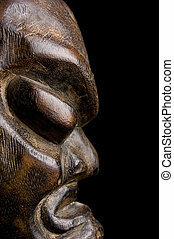 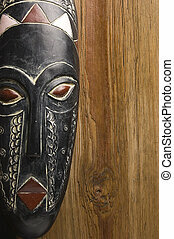 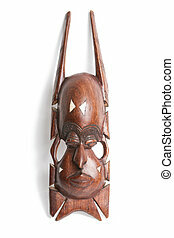 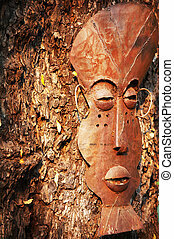 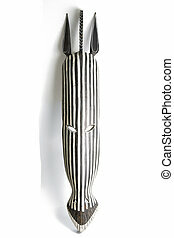 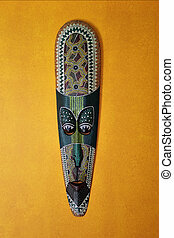 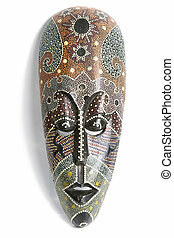 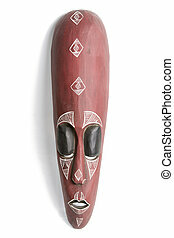 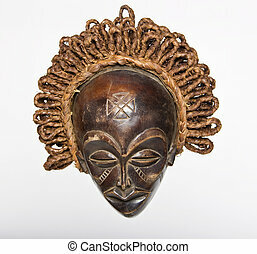 Traditional african mask, handmade from wood, , tribal design series. 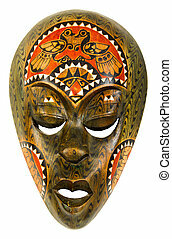 African Mask Isolated on White. 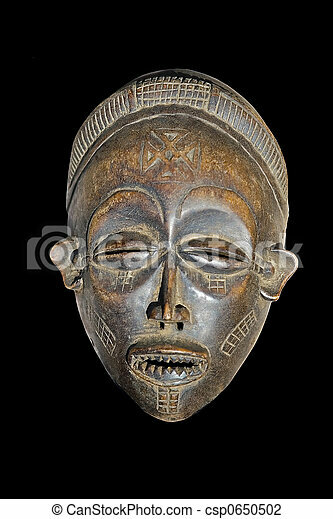 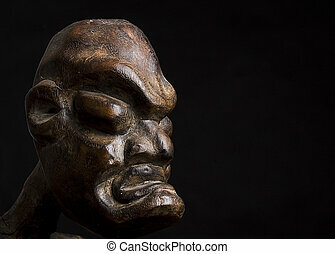 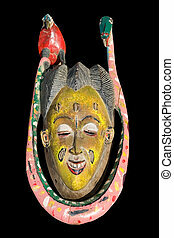 Genuine expressive African mask showing a typical face. 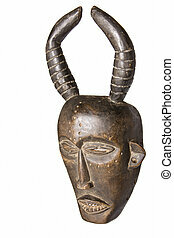 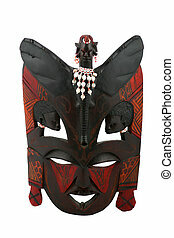 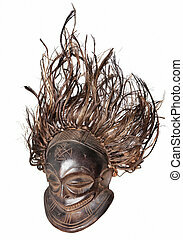 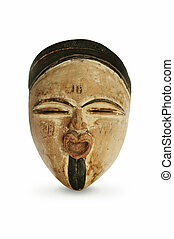 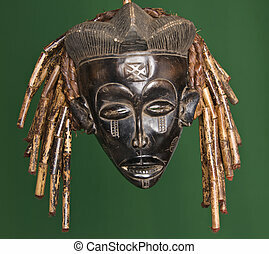 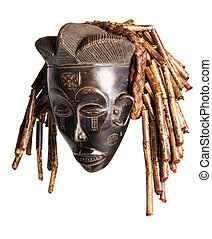 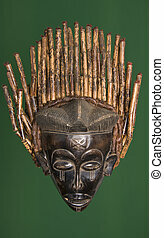 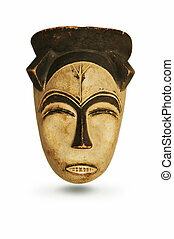 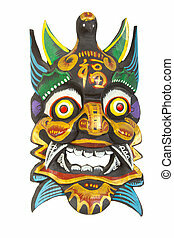 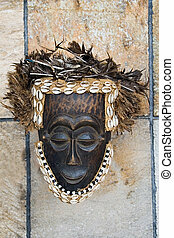 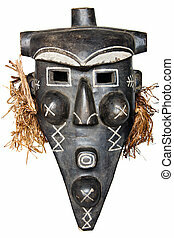 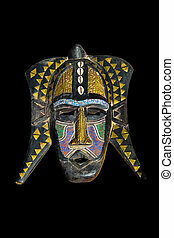 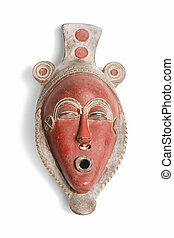 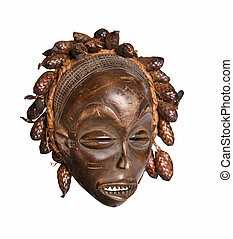 Tribal African mask used in traditional ceremonies.